Our tall vase of richly coloured native flowers and foliage packs a serious wow factor. 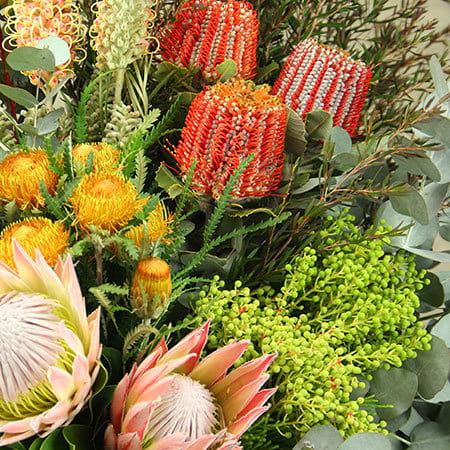 Designed using seasonal natives in a variety of sizes, colours and textures, this stunning flower arrangement is both abundant in blooms and wonderfully long lasting. 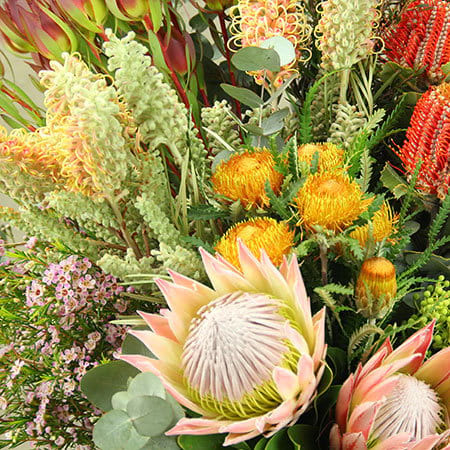 Our designers will use the most beautiful stems available from market on the day of your flower delivery, including the likes of protea, grevillia, paper daisies, banksia and leucdodendron. (this will vary depending on season availability) This design is appropriate for any occasion and perfect for lovers of native flowers and natural vibes. 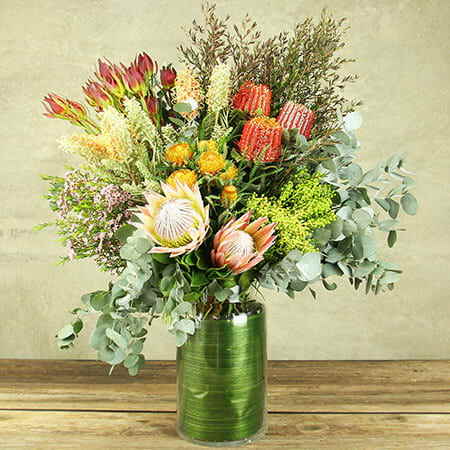 Order our Native Queen Flower Vase online or give the team a call on 1800 66 66 46. Please note this native flower vase is available for Sydney delivery only. 2018-12-28 Service rating : Beautiful display that my friend was very pleased with and delivered as promised.